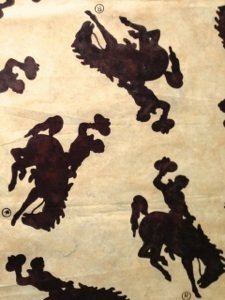 I don't know about you but I have been waiting for July to hit so I can purchase my Wyoming Cowboy Fabric. Well guess what? It is HERE!!! Oh My Gosh, is it gorgeous! 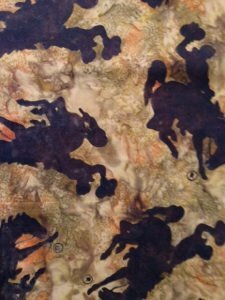 These pictures just don't do the fabric justice. 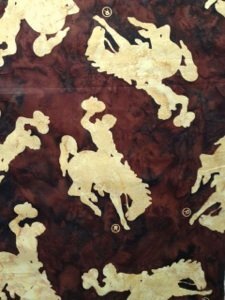 We would love to see what you have decided to make with this Wyoming Fabric. Please bring it in when you are finished as we would love to see your show and tell. We wanted to thank you all for making our Christmas in July a success. We really could not do this without all of your support and love. Your support is taken to heart each day of the year and it helps us want to make it extra special for each of you.